Image: Morrisania, the historic ​Morris family house, New York, New York, Italianate remodeling of the Morris family's old Dutch house. The elegant additions included the tower, concave metal roofed iron porches, and bay windows. The left-hand wing may be an addition, and may predate the tower and porches. The lacy ironwork porches were assembled from small components, and assembly by a few workmen would have been easy. They were probably cast in one of several New York City ironworks. The photograph was taken about 1895, not many years before the house was destroyed for expansion of adjacent railroad yards. From a glass negative. Private collection. 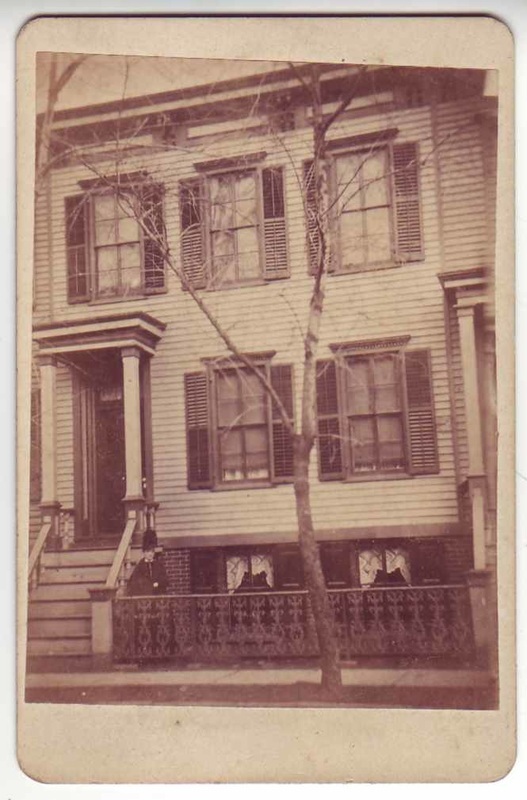 Image: This was a frame house of about 1860, in what appears to have been a series of similar homes. There was a fair amount of care in its design. Notice the deeply recessed front door and the small block-like dentils on the window cornices. The bracketed and paneled roof-level cornice were also nicely detailed. The section of cast iron fence was a popular pattern of the era. The roller shades in the front windows were pulled down most of the way, and for some reason a well dressed woman stood in the angle of the stairs, rather than up on the porch. As this was a winter photograph, it is possible that the porch was too exposed to stand there for the length of time required for the exposure. Photograph of perhaps 1880. Private collection. Since 1939, the year it was organized, the Foundation’s primary purpose has been to improve the quality of life for the people of the Greater Glens Falls area by providing financial support to organizations that address the community’s human, social, cultural and educational needs. Historic Hudson Valley is a not-for-profit education organization that interprets and promotes historic landmarks of national significance in the Hudson Valley for the benefit and enjoyment of the public. In support of its educational mission, Historic Hudson Valley owns, restores, and preserves several sites that possess documented historical integrity, architectural distinction, superb decorative and fine arts collections, and exceptional importance of landscape and setting. The Neighborhood Preservation Coalition of New York State, Inc. is a statewide membership organization of community-based, not-for-profit housing companies and other interested parties committed to revitalizing New York State's urban and suburban areas. The Office of Community Renewal administers the New York Main Street program. New York Main Street provides financial resources and technical assistance to communities to strengthen the economic vitality of the State's traditional Main Streets and neighborhoods. The New York Main Street grant program provides funds to units of local government, and not-for-profit organizations that are committed to revitalizing historic downtowns, mixed-use neighborhood commercial districts, and village centers. Main Street grants are revitalizing New York State’s downtowns through targeted commercial/residential improvements such as façade renovations, interior commercial and residential building upgrades, and streetscape enhancements. NYMS funds are not available for building demolition or new construction. Buildings Research and Development ProgramPromotes the development and use of technologies that make buildings more efficient, increase load flexibility, and include renewable energy sources. The program supports components of building energy use (envelope, space conditioning, ventilation, hot water, and lighting technologies); whole building design integration; energy use monitoring and control automation; advanced building materials; and new, retrofit, and manufactured construction methods. ​Accelerates the use electric vehicles by making infrastructure such as charging stations more available, easier to use, and more economically viable in New York State. Under the leadership of Governor Andrew M. Cuomo, the mission of Homes and Community Renewal is to build and preserve homes and communities for low and moderate income New Yorker’s across the state. HCR promotes affordable housing and community renewal efforts. New York State Homes and Community Renewal (HCR) preserves housing affordability and works with many private, public and nonprofit sector partners to create inclusive, safe, “green,” and resilient places to live in New York State. PACNY continues to work for policies to better protect historic sites, and for programs and incentives to aid their preservation.....PACNY continues to advocate for continual improvements to the federal and NYS rehabilitation tax credit programs. To preserve for all, the heritage of Broome and Tioga Counties by promoting and protecting places of historic, architectural and cultural significance. Building a Preservation Constituency - developing a large constituency for preservation and using that constituency to foster pride and investment in the historic resources found in a community (countering the negative attitude often found among residents of older cities). Developing Professional Expertise - employing within its staff trained preservationists that have a comprehensive knowledge of their field, reinforced by volunteers who have expertise in preservation, architecture, construction and allied fields; developing productive relationships with staff of state and national preservation organizations and insights into their programs and procedures. Providing Preservation Leadership and Advice - providing preservation leadership and coordination, serving as a resource center for historic preservation throughout a region, reinforcing homeowners, neighborhood leaders, preservation commission members, historic site organizations, merchants, village leaders and others on the productive use of historic preservation techniques. ​The built landscape of Erie and northwest Pennsylvania is a tangible expression of our richly layered social, cultural, and industrial history. Along with the natural landscape, it's the built environment that shapes our collective regional identity and sense of place. ​The Preservation League of New York State invests in people and projects that champion the essential role of preservation in community revitalization, sustainable economic growth, and the protection of our historic buildings and landscapes. We lead advocacy, economic development, and education programs all across the state. Since its creation in 1961, the Roslyn Landmark Society has been at the forefront of the preservation movement on Long Island. Our mission is to preserve and promote the rich history and historical resources in the Village of Roslyn and the greater Roslyn area on Long Island's North Shore. The Society for the Preservation of Long Island Antiquities (SPLIA) is a non-profit organization that works with Long Islanders to protect, preserve and celebrate our cultural heritage through advocacy, education, and the stewardship of historic sites and collections. Founded in 1948 by Howard Sherwood, SPLIA was established in response to the intense development pressure that radically changed the Long Island landscape after World War II. The Society began its work with a mission to preserve specific historic structures and artifacts through the creation of house museums. Expanding its scope over the last five decades, SPLIA has become the regional advocate for historic preservation on Long Island, working to broadly raise awareness, appreciation, and support for the protection of a shared past. Today, SPLIA approaches its mission in a variety of ways including: publication and the creation of exhibits; interpreting historic sites; collecting objects and images that pertain to Long Island history and decorative arts; developing innovative educational programs for students; and holding a number of events like Apple Festivals, Country House Lectures, and workshops. In addition, the Society provides direct support and technical assistance to individuals and groups engaged in local preservation advocacy efforts. Albany is the oldest continuing settlement in the nation. The City of Albany still serves under its original charter, which dates back to July 22, 1686, and has been the capital of New York State since 1797. The Historic Resources Commission (HRC) was created in 1988, replacing the Historic Sites Commission and Capitol Hill Architectural Review Commission. Historic designation by the HRC Ordinance is intended to preserve and protect places, structures, works of art, monuments, and other ornaments of historic or cultural significance to the City. The City has fifteen National Register Historic Districts that contain over 4,000 structures. The HRC reviews all proposed alterations or additions to any structure or landmark that falls within, or adjacent to, a Historic District. Review by the HRC is also required for demolition of any designated structure, and for new construction, in or adjacent to the City's Historic Districts. Mission: Historic Albany Foundation preserves and protects buildings that have architectural, historic or civic value, by providing technical assistance, education, and advocacy. Our museum is housed in the old Hawleyton Methodist Church at 923 Hawleyton Road, Binghamton, NY 13903 and contains a collection of artifacts and histories pertaining to the Township of Binghamton which is a separate entity from the City of Binghamton, our neighbor to the north. If you have a query about a business, place, or person who was connected to the City of Binghamton, you would be better served by contacting the Broome County Historian whose contact information can be found at http://www.bclibrary.info. To learn more about the Binghamton Township Historical Society, our museum and collection, and our projects and plans for the future, please continue to explore our website! To collect and preserve historical material pertaining to the history of Clinton County and to interpret and celebrate, through exhibits and programs, the County’s rich history. ﻿﻿﻿﻿The Buffalo Preservation Board reviews all exterior changes to landmark properties or properties located within City of Buffalo Preservation Districts as per Chapter 337 of City of Buffalo Code. If the proposed work is a small repair or an in-kind replacement, a staff-level review may be possible. If not, the project will be reviewed at an upcoming Preservation Board meeting. The preservation Board uses the Secretary of the Interior’s Standards for Rehabilitation and Guidelines for Rehabilitating Historic Buildings as its guidelines. Preservation Buffalo Niagara provides leadership in identifying, protecting and promoting the unique architecture and historic legacy of Western New York communities. Image: Unidentified Romanesque Revival church. This is a photograph of the builder's architectural presentation drawing, perhaps the only surviving record of this drawing. The naive quality of this Gothic Revival design marks the architect or builder as locally or self trained. Photographed by an Ithaca, New York, photographer. 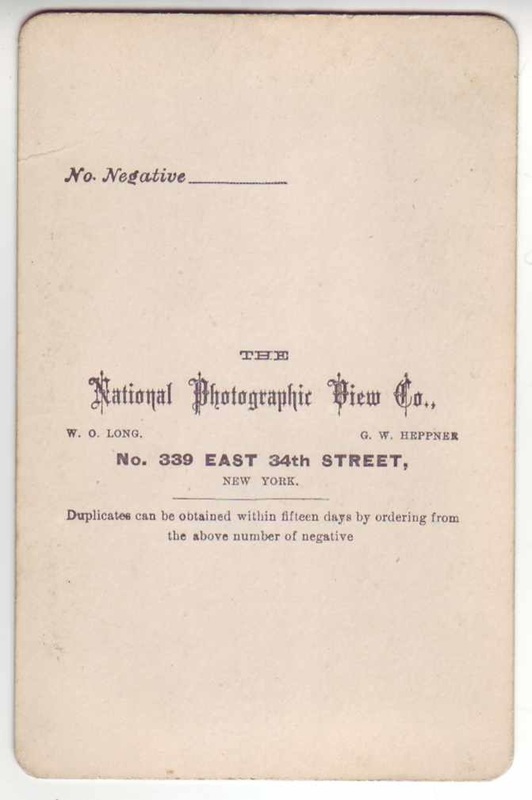 Carte de Visite, (CDV) perhaps 1860-1870. Private collection. The Jefferson County Historical Society, founded in 1886, is the primary organization in Jefferson County, New York that collects artifacts, books, and documents that reflect the entire history of the county, including every geographical area and every chronological period. We preserve the history that makes Jefferson County a special place to live, work, and visit. Originally housed in the Flower Memorial Library, today the Society is located in the beautiful 19th century Paddock Mansion. The discovery, preservation and dissemination of knowledge about the history of southern Jefferson County, in the State of New York; To provide for the preservation of such material and for its accessibility, as far as may be feasible, to all who may wish to examine or study it. In searching back in old family histories you may find mentioned the large and small communities that make up the six towns of Southern Jefferson County. Rochester’s historic buildings and landscapes are truly unique and add character and economic value to the city. To protect this value, the City introduced zoning regulations in 2003 that are set forth in City Code Section 120-65B for Center City andSection 120-158C for any area outside Center City. Designated Buildings of Historic Value [list] are all those properties in City-designated preservation districts, all City-designated individual landmarks, and all properties listed or eligible for listing in the State and/or National Registers of Historic Places. These properties include buildings, structures, districts, objects and sites significant in the history, architecture, archaeology, engineering and culture of New York and, in some cases, the nation. Within a brief 30-year period, Hempstead Town had been converted from an agricultural community to a suburban metropolis. Historians and preservation-minded citizens began petitioning government to take action to maintain their unique historical heritage for the benefit of future generations. In response, the Supervisor and Town Board adopted Chapter 76 of the Town Code, establishing a Town Landmarks Ordinance and a Town of Hempstead Landmarks Preservation Commission, which consists of an architect, an engineer, three historians, and an attorney. The Towns Building Commissioner serves as the Commission's Executive Secretary. The Landmarks Commission wishes to impress upon interested residents of incorporated villages and their historical societies that they should seek the support of their local village officials prior to making application to the Town of Hempstead. Initial approval is required from the particular village government before making application for landmark status to the Town. In short, structures and sites throughout the entire Town of Hempstead will be afforded the protection they deserve, through this concept of creating cooperative agreements between the Town of Hempstead and its incorporated villages for the designation of landmarks. This will result also in limiting the cost to the taxpayers; duplication of effort will be avoided on the part of the respective municipalities. Today, with an ever-growing membership, the Roslyn Landmark Society offers educational programs for school children, operates the ca. 1680 Van Nostrand-Starkins House, holds monthly membership meetings on a variety of variety of topics, and continues to purchase and restore historic buildings. Tucked away in a valley on Long Island's North Shore, Roslyn NY is a nationally recognized landmark preservation success story. Thanks to the hard-work and dedication of countless members, volunteers, and elected officials, the 340 year-old village is not only a showcase of historic American architecture, it is a vibrant community illustrating the economic benefits of good preservation policies. The Historic Districts Council (HDC) is the advocate for all of New York City’s historic neighborhoods. Our mission is to is to ensure the preservation of significant historic neighborhoods, buildings and public spaces in New York City, uphold the integrity of New York City’s Landmarks Law, and further the preservation ethic. We work directly with people who care about our city’s historic neighborhoods and buildings, and represent a constituency of over 500 local community organizations across all five boroughs. ​First and foremost, HDC provides technical and strategic support to groups and individuals to help save historic buildings. Since 1971, HDC has been a vital force helping to preserve historic neighborhoods and buildings throughout the five boroughs. HDC has been involved in the creation of almost all of the 110 officially designated historic districts in New York, which encompass almost 30,000 individual buildings. We have organized residents, secured funding for studies, given public testimony, worked with city agencies, and held people’s hands for over 40 years. Recently, we launched our “Six to Celebrate” program, the only citywide initiative coming directly from the communities that spotlights preservation concerns. About the New-York Historical SocietyThe New-York Historical Society, one of America’s pre-eminent cultural institutions, is dedicated to fostering research, presenting history and art exhibitions, and public programs that reveal the dynamism of history and its influence on the world of today. Founded in 1804, New-York Historical is the oldest museum in New York City. New-York Historical has a mission to explore the richly layered political, cultural and social history of New York City and State and the nation, and to serve as a national forum for the discussion of issues surrounding the making and meaning of history. The Landmarks Preservation Commission (LPC) is the largest municipal preservation agency in the nation. It is responsible for protecting New York City's architecturally, historically, and culturally significant buildings and sites by granting them landmark or historic district status, and regulating them once they're designated. The agency is comprised of a panel of 11 commissioners who are appointed by the Mayor and supported by a staff of approximately 67 preservationists, researchers, architects, historians, attorneys, archaeologists and administrative employees. There are more than 35,000 landmark properties in New York City, most of which are located in 138 historic districts and historic district extensions in all five boroughs. The total number of protected sites also includes 1,355 individual landmarks, 117 interior landmarks and 10 scenic landmarks. ​The first, and only one, of its kind in New York City, the Neighborhood Preservation Center is a place where the public is welcome to convene, strategize, and exchange information through its programs: the meeting rooms, the office spaces, and the online resource database andlibrary that comprise the Resource Referral Service. Opening on November 1, 1999, the Center located in the historic Ernest FlaggRectory of the landmark St. Mark’s Church In-the-Bowery site and is a project of the St. Mark's Historic Landmark Fund. It endeavors to support the numerous organizations concerned with the city’s multifaceted environment, and to facilitate the public’s access to these organizations. It is also committed to supporting preservation and sustainability in action through participation in theLower East Ecology Center's Ecobiz NYC program. The NYC Landmarks50 Alliance is comprised of individuals and organizations committed to informing and educating the public about historic preservation in New York City. On April 19, 1965, Mayor Robert Wagner signed New York City’s Landmarks Law, and the new era of historic preservation began. The NYC Landmarks50 Alliance has been formed to create an appropriate commemoration of the 50th Anniversary of the New York City's Landmarks Law in 2015, and to ensure that the preservation community, as well as the wider New York City public, reflect upon and embrace the significance of the role of historic preservation in shaping the City. The goal of this project is to broaden the appreciation of, and commitment to New York City's admired architecture, and to develop a new audience and a new generation of future preservationists, who will take responsibility for protecting the continuity of the New York Cityscape. Founded in 1893, the Municipal Art Society is five years older than the consolidated City of New York itself.Over more than 120 years of history, MAS has worked to inspire, educate, and empower New Yorkers to engage in the betterment of our city.Through three core campaign areas, MAS protects New York’s legacy spaces, encourages intentional planning and urban development, and fosters complete neighborhoods across the five boroughs. The ground-breaking Upper Manhattan Historic Preservation Fund (UMHPF) has awarded grants and loans totaling $4 million to 30 projects. The Upper Manhattan Empowerment Zone (UMEZ) created UMHPF in 1999 to assist historic properties in Harlem, Inwood, and Washington Heights. UMEZ asked the Conservancy to administer the Fund because of our long experience with grant administration and project management assistance. The Preservation League of Staten Island works for the conservation and continued vitality of Staten Island's Historic Resources. The League was founded in 1977 by a group of community minded citizens concerned about Staten Island's vanishing historic environment. We sponsor programs about the recognition, care and restoration of historic properties. We give neighborhood and neighborhood house tours and confer annual awards for outstanding preservation work. .Advocating landmark designation for significant sites is a priority. The Oneida County Historical Society was founded in 1876 and has served since that time to collect, preserve and make accessible the past heritage of Oneida County and the upper Mohawk River Valley. Services center around (1) a research library; (2) a 5,000 sq. ft. museum exhibit area running two concurrently; (3) weekly programs featuring guest artists, authors and historians and (4) a bookstore.Critical research is conducted on a wide variety of topics for family history researchers, students, teachers, businesses, government, authors, and others. The Society has free high-speed Internet connections available in our research library. Guide to Oneida County, New York ancestry, family history, and genealogy birth records, marriage records, death records, census records, and military records. This page describes sources of genealogical data about Oneida County, New York Genealogy families, including links to smaller localities at the bottom of this page. New York-related pages show useful statewide sources. United States pages explain the terminology and contents of genealogical records. The Commission advises the Common Council and property owners on issues related to the preservation of Utica’s historic resources, principally those within the Scenic & Historic Preservation District. ​It also rules on whether a restoration project is appropriate, based on the Design Guidelines for properties within the District. The Leading Voice Preserving the Past, Protecting the Future. Since 1974, Landmarks has been the leading voice for the preservation and restoration of historic, irreplaceable buildings, districts and sites in the Greater Utica Area. We value the architectural richness of these structures, the special character they give to our neighborhoods and communities, and the contributions they make to our area’s economy, culture and quality of life. OHA is a private nonprofit educational association of heritage related Services, Museums, Research and Educational Centers, and Retail Operations. Soon, we will be adding “Boutique Hotel” to that list. The Central New York Genealogical Society (CNYGS) was formed in 1961 for the purpose of preserving, publishing and sharing genealogical information and resources. Towards that end, it has published Tree Talks, a highly respected, 64-page quarterly.Tree Talks is a valuable source of information on tens of thousands of people who lived in upstate New York. Each issue contains abstracts of significant records from upstate New York counties and is fully indexed, annually. Members engage in record-preservation projects to record, preserve, and report information for future researchers.During its six meetings held from March through November, the Society sponsors experienced genealogists to share their expert knowledge on the research and publication of ancestral information, and to educate in the professional standards of genealogy. Workshops and seminars are held occasionally, to assist beginners with their research. All meetings are open to the public for a small donation. In addition to our regular full and half day meetings, the Central New York Genealogical Society's Genealogy Interest Group (GIG) meets regularly at the Salina Library at 100 Belmont Street in Mattydale, N.Y. GTIG aims to foster an interest in family history and genealogy; provide a regular discussion forum for members; provide information on sources and use technology whenever it will help us to be successful. New and experienced researchers are welcome to attend all of our meetings. The Syracuse Landmark Preservation Board is authorized by the City of Syracuse Zoning Ordinance (Part C Section VII) to regulate any material change in appearance to any property that is in a Local Preservation District (e.g., Sedgwick) or that has been designated a Local Protected Site (e.g., City Hall). The Board reviews demolition proposals for any property that may be eligible for historic designation. The Board also recommends to the City Planning Commission the designation of Local Protected Sites and Local Preservation Districts. The Board is composed of nine members, all of whom are appointed by the Mayor. Two members are nominated by the American Institute of Architects, one member is nominated by the Real Estate Board, one member is nominated by the Preservation Association of Central New York, one member is nominated by the Onondaga Historical Association, and one member is nominated by the Conservation Advisory Council. Three members are "at-large" appointments. 233 East Washington Street, Syracuse, N.Y. The Rensselaer County Historical Society and Museum is a dynamic not-for-profit educational organization established in 1927 to connect local history and heritage with contemporary life. We enrich the present and advocate for the future by bringing the region’s past to life, recognizing every face and every story. In pursuit of this mission, we collect, preserve, study, interpret and make accessible a broad variety of objects and documents, and conduct educational programs to inspire public enthusiasm for the past. .....Generations of immigrants have settled in the cities and rural areas of this county to tap the resources of this area and create some of the most renowned industries of 19th century America. Iron, steel, Arrow shirts and collars, agricultural machinery, gun powder, Prussian blue pigments and Troy-Bilt Rototillers have all been produced in Rensselaer County during the past 175 years. America’s first engineering school, Rensselaer Polytechnic Institute, and the Emma Willard School, one of the nation’s earliest schools for women were founded in Troy in the 19th century, and remain leaders in education today. ​The purpose of this chapter is to promote the educational, cultural, economic and general welfare of the public through the protection, enhancement and preservation of Troy's historic and/or architectural districts and landmarks. The City Council of the City of Troy declares that it is a public purpose to ensure that the distinctive and historical character of Troy's historic and/or architectural districts and landmarks shall not be injurious affected, that the value to the community of those buildings, sites, monuments and districts having architectural and historical worth shall not be impaired and that such historic and/or architectural districts and landmarks be maintained and preserved to promote their use for the education, pleasure and welfare of the citizens of the City of Troy and others. It is furthermore a purpose of this chapter to meet the state standards for participation in the statewide urban cultural park system, to implement the Riverspark management plan, and to protect the public investment in Riverspark. TAP provides design, architectural, planning and graphic assistance to low and moderate income individuals and non-profit organizations. TAP disseminates information on programs instituted for the benefit of the targeted population and acts as advocate for such persons on planning decisions. TAP’s activities are focused on the city of Troy, although projects have been undertaken in surrounding locations. TAP assists non profit agencies with a wide variety of special needs housing including homeless prevention, affordable housing, residential treatment programs, shelters and income eligible subsidized apartments. TAP prepares building permit drawings for homeowners and zoning and planning applications for proposed projects. TAP provides appropriate rehabilitation advice to applicants in historic districts and to educate the public on historic preservation issues. Call or fax us at: 518-274-5267. The Lansingburgh Historical Society was founded in 1965 by a group of residents concerned about preserving the history of the Lansingburgh community. Their immediate motivation for forming the society was the demolition of the Lansing House in that year. 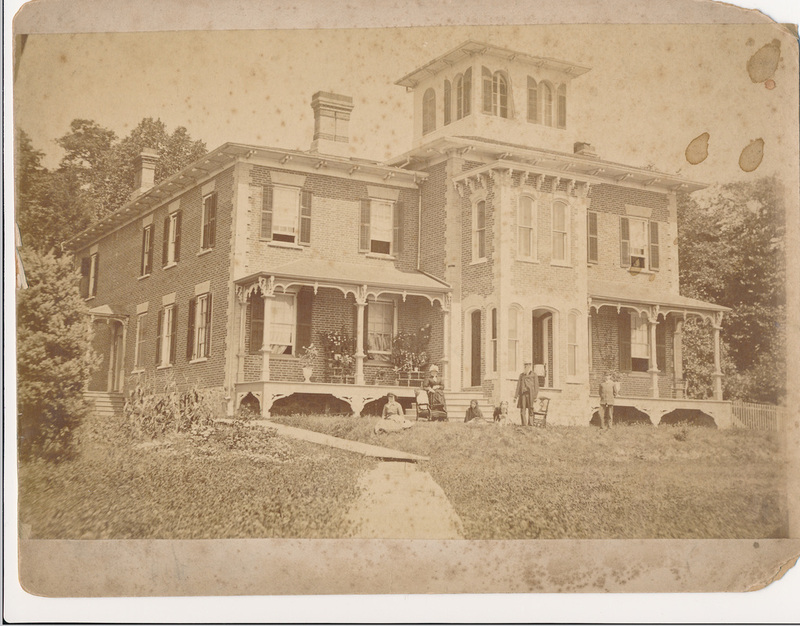 The Lansing House had been built in 1749 and had been the home of the Abraham Lansing family who were Lansingburgh’s earliest settlers and for whom the village of Lansingburgh was named. The house was just north of a Lansing family burial ground which was located just west of the present intersection of 109th Street and Second Avenue. Most of the remains from that burial ground had been moved to the Oakwood Cemetery in the late 1860s. Now with the loss of the Lansing House in 1965 and the earlier loss of a second Lansing farm house north of the village and the burial ground, nothing remained of the Lansing family property. A fully furnished model of the Lansing House created by Frances Broderick, a founding member of the society, is a display item in the historical society museum. The historical society was chartered under rules of the New York State Board of Regents and the NYS Education Department in December 1965. In about 1968 a house at number 2 114th Street came up for sale as a tax delinquent property. The society purchased the house. The house built in the 1780s for Stephen Gorham, a local ship builder, had been changed architecturally (roof style, entry location, porch addition, etc.) several times since it was built. Gorham never occupied the house and it had had several owners after his death. In 1838 Mrs. Allan Melville, née Maria Gansevoort, rented the house. She was newly widowed and moved with her five children from Albany to Lansingburgh. Among her children was young Herman Melville. He took odd jobs and attended school at Lansingburgh Academy just three blocks west. He began writing in this house, mostly poetry at first, but later two of his early novels,Typee and Omoo. What is the Schenectady County Initiative Program (CIP)? By resolution of the Schenectady County Legislature, dedicated arts and tourism funds will be distributed to local organizations in support of activities in the performing, literary and visual arts and/or historic preservation. The projects supported by the CIP grant funding should provide significant benefit to Schenectady County residents and visitors, and should enhance Schenectady County’s visibility and quality of life. ﻿​Schenectady Heritage Foundation is a not-for-profit group whose mission is to foster historic preservation in Schenectady County. Since 1979, the Foundation has worked diligently for the preservation of Schenectady’s Stockade Historic District. The area is considered so special by the Federal government that it is listed, in its entirety, on the National Register of Historic Places. The City of Schenectady concurs; the Stockade has its own category of zoning, RH-2 Residential, and is legally protected by Schenectady’s Historic District Commission. It is New York State’s first historic district and is located upstream along the Mohawk River, within walking distance of the proposed “Mohawk Harbor” development (the Development). The Foundation has concerns about the Development’s potential for negative impacts on the preservation of the Stockade Historic District. These concerns are flooding, traffic and quality of life. In addition to the official responsibilities, the board also reviews demolition permit applications, for structures older than 75 years, submitted through the Town Building Department and also reviews and comments on subdivision applications and other proposed development when requested by the Town Planning Department or Zoning Board of Appeals. A Cultural Resources Sub-Committee of the board has also been established to provide review and input for archaeological surveys submitted to the town. The Warren County Historical Society was chartered in 1997 by the New York Education Department for the collection, preservation, and promotion of the heritage of Warren County. The Society has an ever-expanding research center and has long range plans for a museum for historical research, providing a place to gather, preserve, and display artifacts, books, manuscripts, papers, photographs and other records and materials relating to the history of the Warren County region and New York State. The current headquarters of the Society is located in the historical old Bay Ridge Volunteer Fire Company fire house. Please refer to New York statewide and Regional listing for this organization. Maintain county wide list and map of properties on the New York State and National Registers of Historic Places, and list of sites on the Westchester Inventory of Historic Places list updated March 2015. An important element of the mission of the Westchester County Historical Society is active participation in the protection of Westchester's important historic buildings, districts and landscapes. WCHS strongly encourages the preservation of our historic architectural and scenic heritage. When the Westchester Preservation League became part of WCHS in 1998, the Society began to speak out on a variety of preservation issues across the county. Our 2003 book, Picturing Our Past, is an important part of this effort, as it tells the story of all of the sites in Westchester County listed in the National Register of Historic Places as of December 2002. In 2006 the WCHS Preservation Committee began compiling a data base of historic buildings, districts and landscapes that are worthy of preservation. We began with all the County, State and National Register sites listed to date and going forward we will make use of various windshield surveys commissioned by many Westchester communities. In addition, sites suggested by individuals will be evaluated by the WCHS Preservation Committee, and, if deemed worthy, will be added to the list. To make a suggestion or recommendation, please contact WCHS. The Landmarks Preservation Board has two principal functions, it prepares reports on nominations of structures and places as landmarks or historic districts and it issues approvals for landmarks, buildings or sites in historic districts. In its review role on landmark and district nominations, the Board makes recommendations to the City Council. Once a site or district is created by the Council the Landmarks Preservation Board has the authority to make determinations on the historical appropriateness of proposed new buildings, structures or changes to existing buildings. Certificates of appropriateness may be required for work that does not otherwise require a building permit. Nominations for historic districts are most commonly made by neighborhood associations with the help of a professional planner or preservationist. The Planning Bureau has significant resources that are available to groups or persons seeking to make such an application. The city staff will assist in reviewing the application and can offer insights into the process. ​A certificate of appropriateness is a determination by the Landmarks Preservation Board that the proposed change to the place or structure supports the existing historic character. The Landmarks Board has established a list of types of work in which the Planning Bureau staff may issue certificates of appropriateness. Maintenance, repair or painting which does not alter the design, material color our outward appearance does not require certificates of appropriateness. 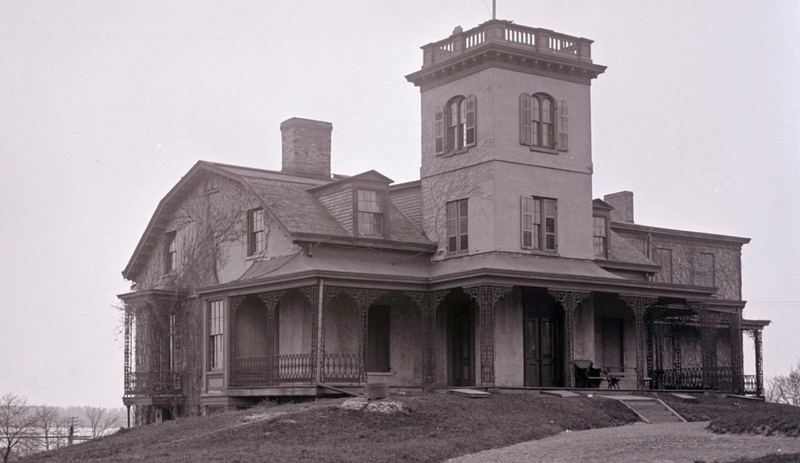 In 1891, the Society, then known as “The Yonkers Historical and Library Association,” helped to preserve historic Philipse Manor Hall. This group was active until taken over by the Yonkers branch of the Westchester Historical Society. In the early 1950's, historic Sherwood House was threatened with demolition. A small group succeeded in saving and preserving the structure. This group of dedicated citizens also assumed the records and membership of the Yonkers branch of the Westchester Historical Society and formed the Yonkers Historical Society as we know it today.